A gluten free cereal of sweetened corn puffs. Ingredients: Organic corn meal, organic evaporated cane juice, sea salt. Produced in a facility that uses peanuts, tree nuts & soy. 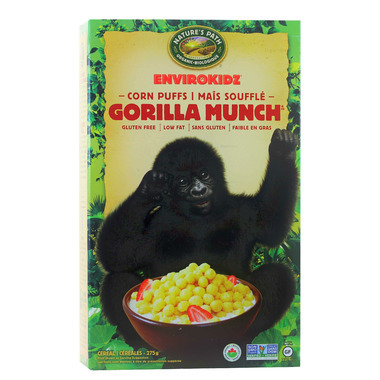 My boys age 5 and 3 get excited when ever we get this cereal. They love it! My son loves it...gobbles it up in two sittings. really shook me to the core! They're expensive for such a tiny little box, but great for a snack or to accompany breakfast.